Discussion in 'General Discussion archive 2017 (read-only)' started by davidt, Oct 20, 2017. 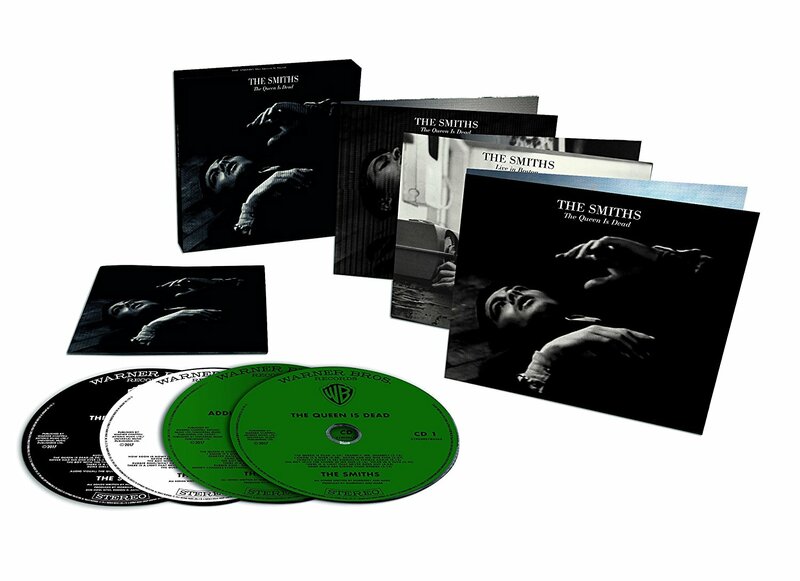 The Queen Is Dead (2017 re-issue) is out now. Related tagged articles - "tqid reissue"
This turned up on my television earlier... A thirty second ad. Beautiful in green and pink throughout. 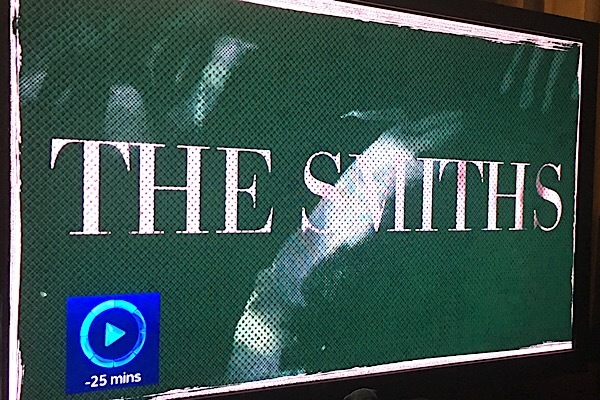 I am hoping that every main Smiths album is given the same treatment - it would be a wonderful collection to have. It sounds good to my ears. Boston is a great gig. Exhaustive demos / outtakes were probably never on the cards, but the balance between unheard and already leaked seems fairly done. Posted this in the wrong thread earlier: Anybody know how limited the vinyl set is? I would really like to own it but wondering if it can be pushed off til Christmas. I'll be surprised if this is ltd at all. It is made to sell and make money. But this is only my guess. Great artwork love how it includes the cover stars (Delon, Kerouac, Dean) aswell as the protest picture / tattoo showing how relevant the band still is. The Queen Is Dead is one of my top 5 records of all time. Thing is, I'm just way more into the new Moz music at the moment. Think it's actually a shabby chic design choice. The cover image can't be righ-res, because it's presumably from a DVD still. So they've downgraded the gatefold image to match. Not saying that's the right thing to do, but it's not like they've had it printed on a second-hand household inkjet just to save pennies. The packaging is nothing special, though, I agree. The same photo of Big Ben five times, but no Salford Lads photo?! And poor old Ann Coates doesn't get a credit. Also think it's odd to depart from the pink and green colour-scheme. I can't think of another album in history where you could hold up two coloured cards, say "what album is this? ", and thousands of people would be instantly able to guess. OTOH, it sounds fantastic, which is the main thing. Great release. Hope all the albums get the same treatment. I purchased the 3 CD/1 DVD version, still waiting on mine to arrive in the mail. I couldn't be bothered to purchase the 5 LP version, I like just one, glistening, LP when it comes to my vinyl -- anymore than that and I am sickened. Wasn't Craig Gannon on the 86 tour? No mention of him anywhere regarding the Boston Show. Yes, I noticed that. Naked Morrissey cuntery. so the 3 CD box set is the one with 'live in Boston'... well go order it today, as well as Mporium the new CD. How is it?What is it like?